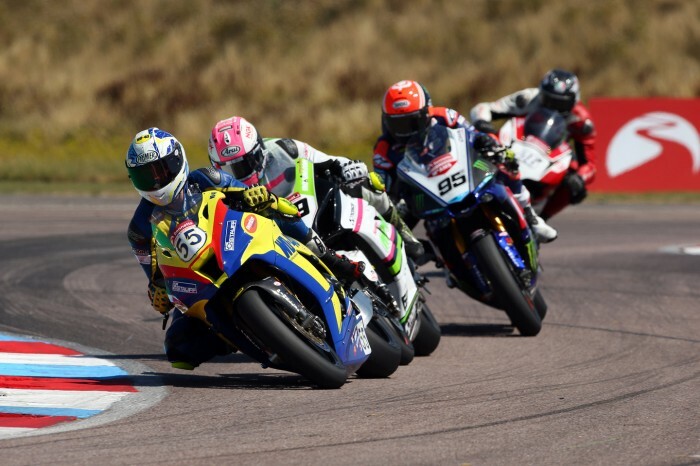 Bennetts British Superbike rookies Mason Law and Chrissy Rouse both broke into the top ten at the Thruxton round and netted themselves some serious points. Law had worked on race pace over the weekend and didn’t qualify as well as he hoped but the distance runs covered paid off as he took eighth and tenth places. “That was a very good round for myself and the team, and all in all I’m happy with the progress we made throughout the weekend. 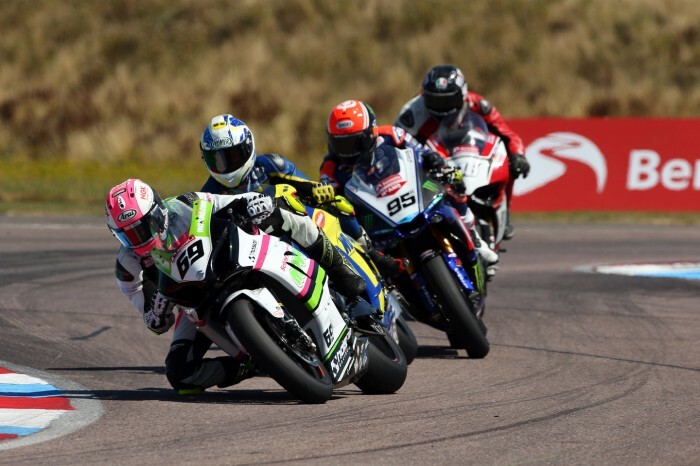 Thruxton is a really abrasive circuit and kills tyres, so that’s what we worked to conquer from the off and I had a good feeling from the opening free practice session,” said Law. “We ran the softer ‘zero’ tyre this weekend and I knew that would be a strength of ours when it came to race day,” said Mason. “I was also confident and knew it would provide us with the pace to grab a better grid position for race two. It gave me confidence in my ability to go on and produce a lap time that would allow us to move up the grid. In just his third ever BSB race weekend, Geordie Rouse started the first race from 15th position on the grid. Moving up a spot in the opening lap, he was up to 10th place by the end of lap three. He remained within the top 10 for the rest of the race, moving as high as eighth at one point as he enjoyed a tussle with two of the series’ other young riders, taking his first ever BSB top 10 as the flag fell at the end of 20 laps. But his hopes of bettering his result in the afternoon’s second race were dashed after a first lap crash at Cobb. Although he was stretchered away from the scene, he walked back to the garage uninjured. “I was disappointed with the crash but at the same time I’m feeling really positive after getting that top 10 in the first race,” he said. 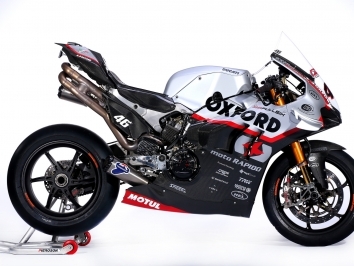 “It was a fantastic race one, the bike just felt amazing and once I got up into the top 10 I was really enjoying it,” said Rouse. “In the second race, I knew I needed to try and get up into the top 10 as early as possible before the frontrunners broke away, and after a bit of a bad start I was trying to make up the ground when something happened. The riders in front were all queuing up and seemed to sit up and I had nowhere to go.